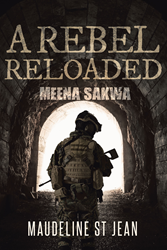 Recent release “A Rebel Reloaded”, from Page Publishing author Maudeline St. Jean, is both illuminating and propounding; it tackles real-life sensitive issues pertaining to societal decay brought about by civil wars and depravity. Maudeline St. Jean, a mother of two outstanding boys, a registered nurse by day, and an ardent writer who enjoys writing motivational narratives, has completed her new book “A Rebel Reloaded”: a political fiction that follows a leftist leader thrust into a war of conscience and dominion against corrupt government forces, aiming to redeem his motherland from disgrace. Published by New York City-based Page Publishing, Maudeline St. Jean’s well-conceived tale, though a figment of the imagination, reflects the truth of political and economic vendetta prevalent in third-world countries where vision is discouraged and change is feared. Readers who wish to experience this insightful work can purchase “A Rebel Reloaded” at bookstores everywhere, or online at the Apple iTunes store, Amazon, Google Play, or Barnes and Noble.